saiyansecret is an author who started out on Tumblr back on Feb 18th, 2012. Starting with posting links and favorite photos and continuing that tradition to this day. 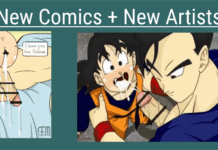 Adding to the tumblr post, Saiyan Secret now also writes stories, ones that have been featured here on Gotenboner, and you can read below! You can also check out the SaiyanSecret WordPress site. We are actively collaborating with SayianSecret for new stories and ideas. We love the stories written by SS and will continue to enjoy them as they are published here and on the tumblr. =) Hope you enjoy the stories! Make sure to leave feedback and a rating!